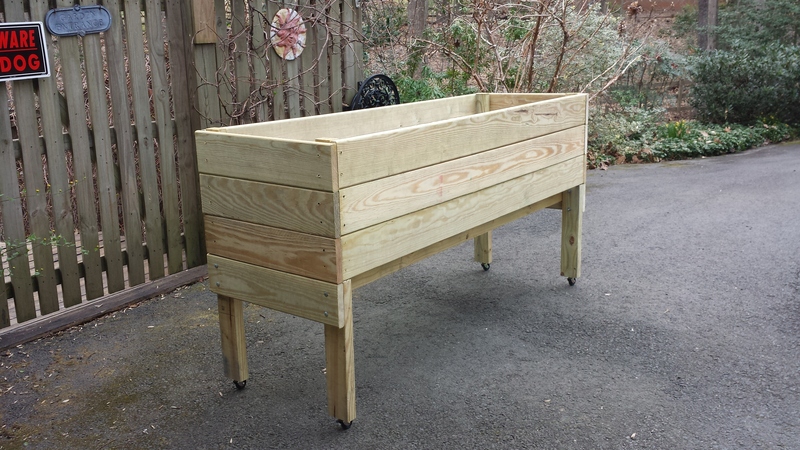 Raised Bed Garden. 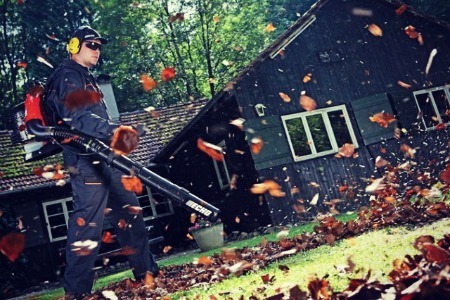 It was last year that we endured Slug City even on our raised wooden decks. It rained and rained all Spring and the first part of Summer. 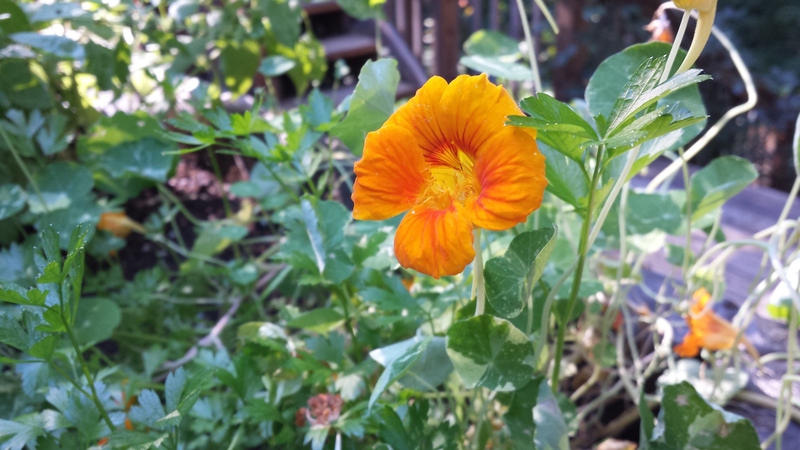 I was outside almost daily picking up to 50 slugs off my potted herb and flowering plants. Slug bait, unless it’s organic, isn’t my favorite control since I also have fish ponds located downhill from the deck area. Last year, I set out a pot saucer filled with water and some rubbing alcohol for a quick slug death chamber. I’d pick off each slug and dunk it into the saucer. Vaseline was smeared in a continuous circle around each pot. Supposedly, the slugs would not cross the Vaseline and continue slithering up the pots to their plant buffets. Totally inaccurate, as my slugs happily zoomed right over the Vaseline smears. Earlier this year, I was looking at various raised beds. I’ve been wanting to turn a messy area inside our driveway circle into a vegetable and herb garden. 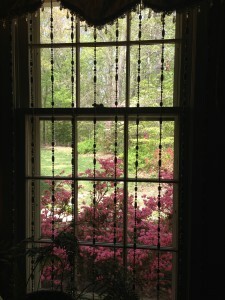 Right now, it’s planted with two wild dogwood trees, a volunteer wild dogwood tree that finally bloomed this year (yay!! 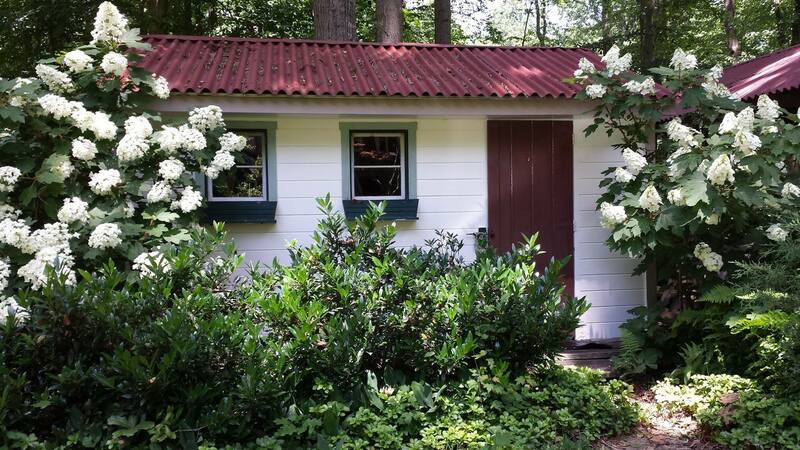 ), a crabapple tree that only seems to attract bagworms, four butterfly bushes in lavender and white hues, one Otto Luyken laurel bush, several volunteer barberry bushes, some juniper bushes, wild blackberry bushes, a lot of pachysandra groundcover and numerous volunteer tree saplings. Since we have a lot of deer browsing around, I’ll need to fence the area with some sort of plastic mesh or maybe chicken wire. 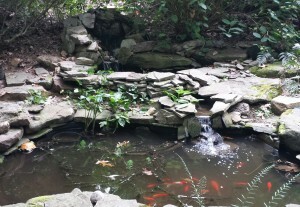 Until I can get that area cleared and move the pachysandra, this project is on hold. 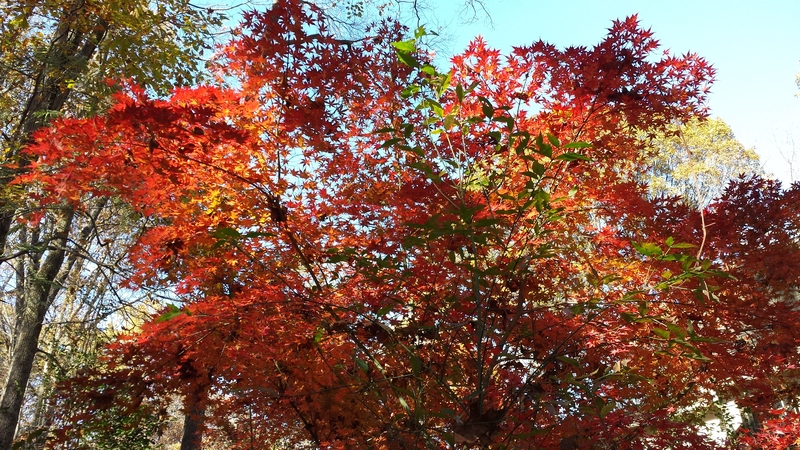 I’ll likely keep the Otto Lukyen laurel bush, the junipers, and the wild dogwoods where they are since they are living on the edges of the circle. 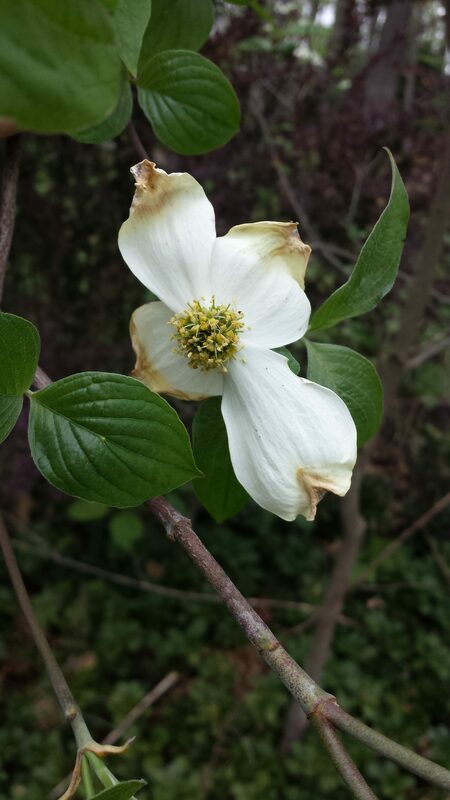 We’ve lost most of our wild dogwoods to anthracnose so I’d like to keep them around. The butterfly bushes can be moved elsewhere. The rest of it can go. 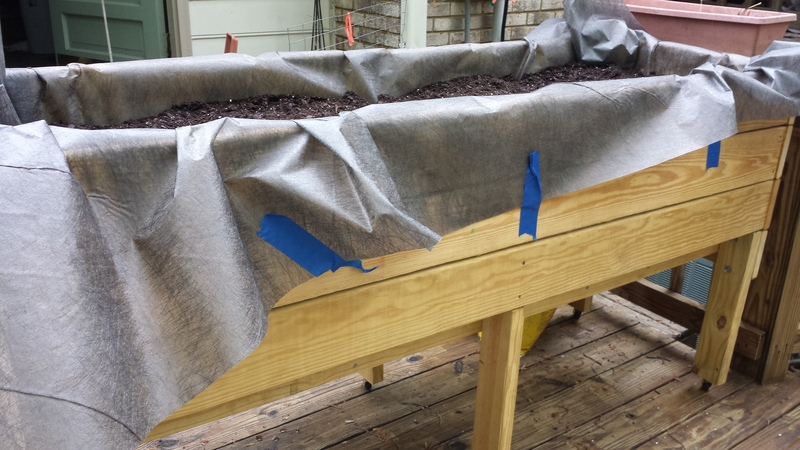 Until that time, I was complaining to my husband about the slug issue, and wanting to buy a raised bed planter for my herbs and baby lettuces this year. The raised bed garden that I was looking at was several hundred dollars. My husband is a pretty good carpenter in his spare time. 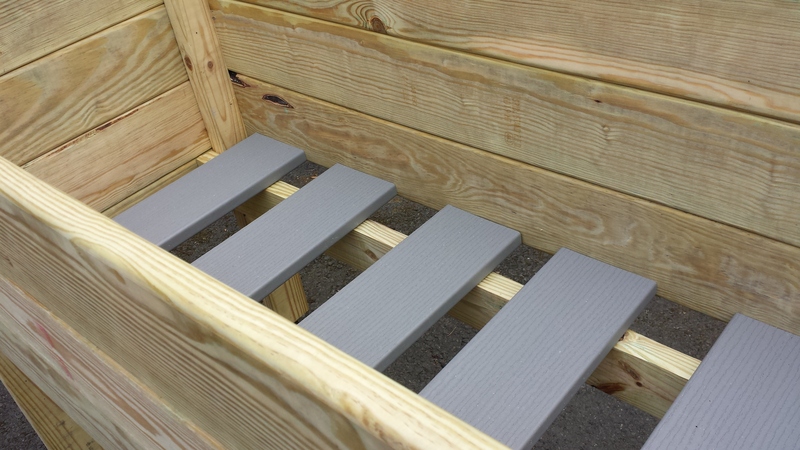 He surprised me with a raised bed garden that he built to put on our back deck! It’s made of hardwood and even has wheels for movability. 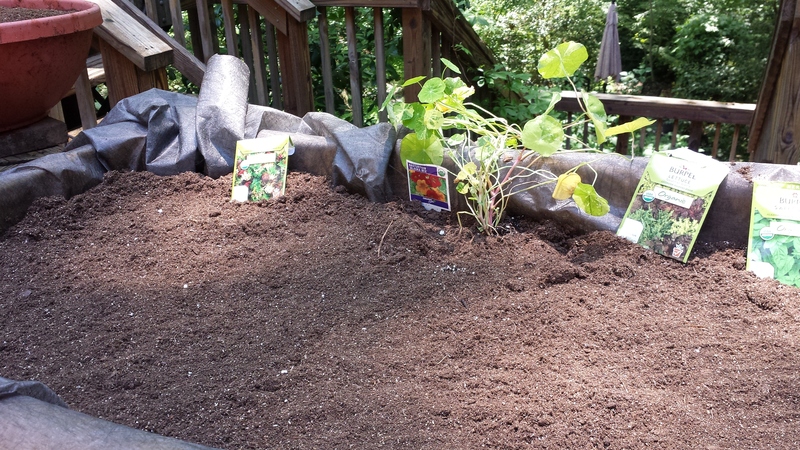 Although my husband is not a gardener per se, he realized that the raised bed needs adequate drainage. He didn’t build a bottom for the raised bed, yet instead added some Trex boards that are movable and provide plenty of drainage. 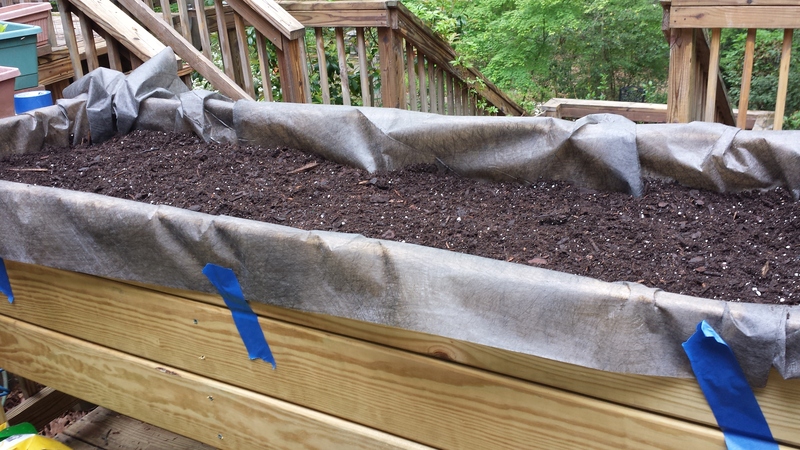 I lined the raised bed with landscape fabric and secured the fabric with metal staples from a hand-held staple gun. I trimmed the edges of the fabric that were too long. It doesn’t look stellar, but I wanted to keep the liner longer in case I needed to repair it. I’ll probably clean up the edges a bit next year. 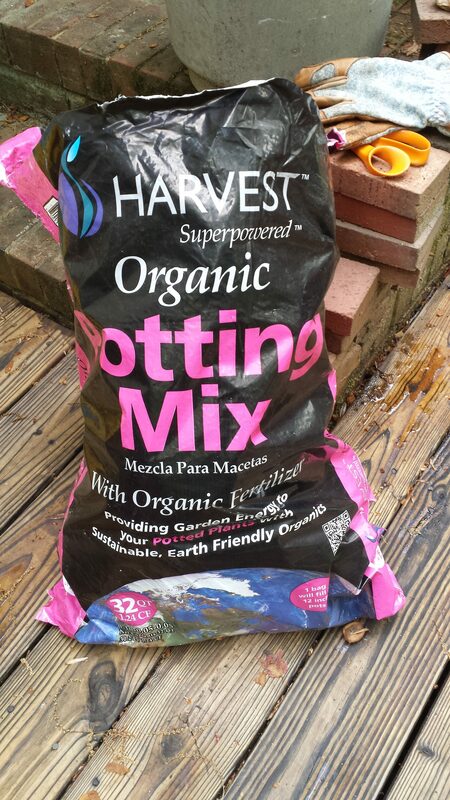 Once the weather warmed up in Spring, I added about 10 bags of organic potting soil and spread some organic seed starting medium on the top. 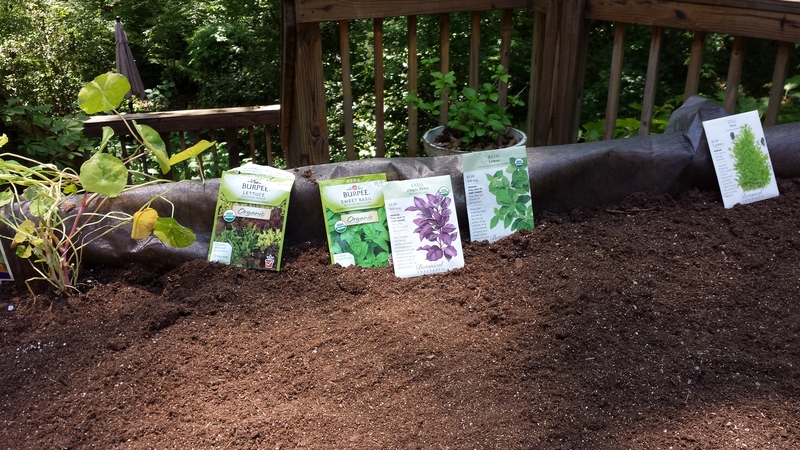 When there was no danger of frost, I planted several kinds of basil seeds. 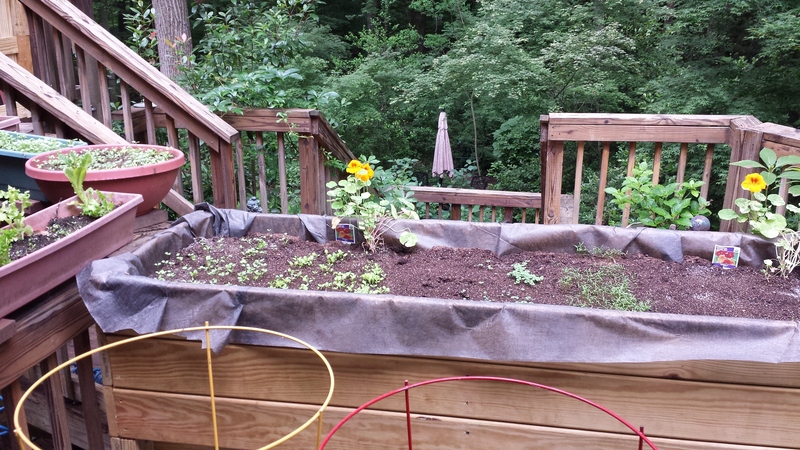 Also, cilantro, Italian parsley, and various baby lettuce seeds went into the raised bed. I wanted trailing plants on the edges to soften the planter’s hard edges. 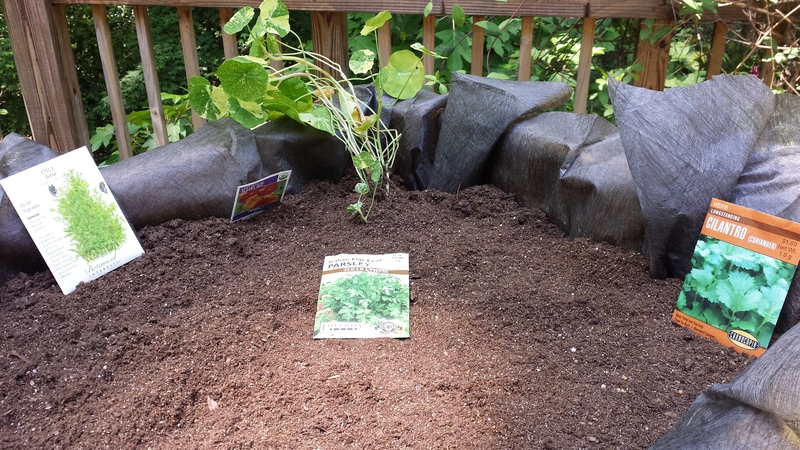 Nasturtiums have edible leaves and flowers and would go great in homegrown salads so I planted two of them. Next year I’ll plant a few other trailing plants because I like the look. So what grew nicely in the raised bed planter? My baby lettuces came up and matured nicely. I was able to make quite a few salads with the greens until the cabbage loopers started to lay their eggs. Then I used BT powder to get rid of their caterpillars. For whatever reason, those caterpillars LOVE arugula. 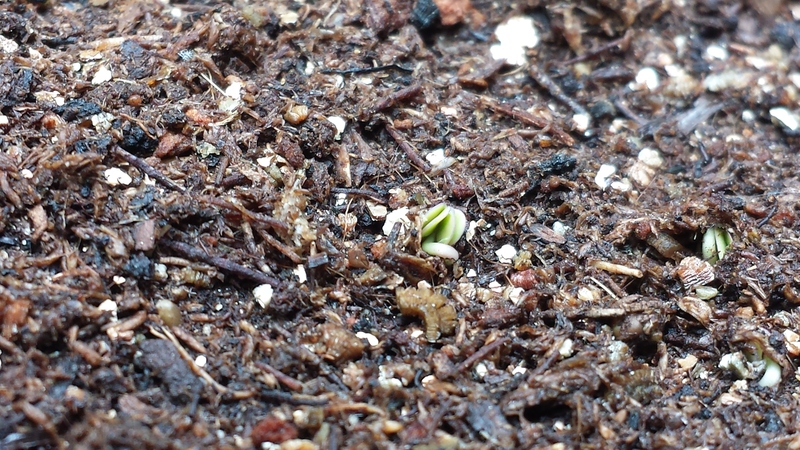 Also my Italian parsley did great. What didn’t do well? My cilantro grew up very nicely. Just as I was about to start harvesting it, a bacterial wilt took down all of the cilantro. I haven’t had great luck growing cilantro in pots either. 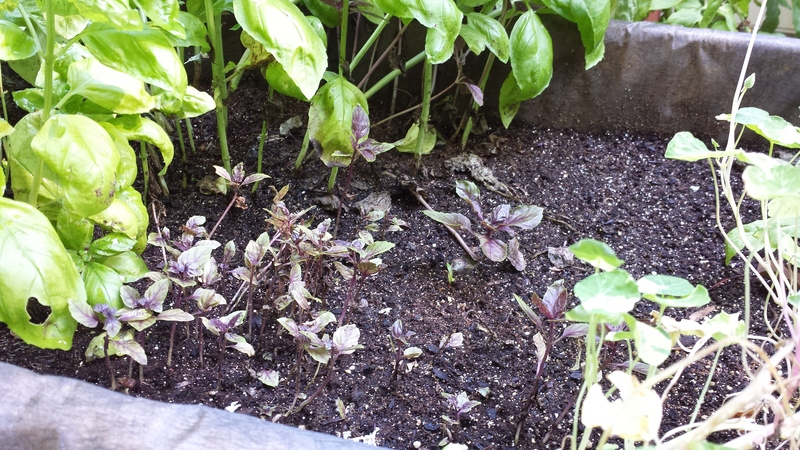 My purple basil grew up to about two inches and stopped! Not sure what happened to stunt it like that. I’ve had that happen before with basil in pots that grows about two inches and stops. Probably some sort of bacterial issue in the soil. 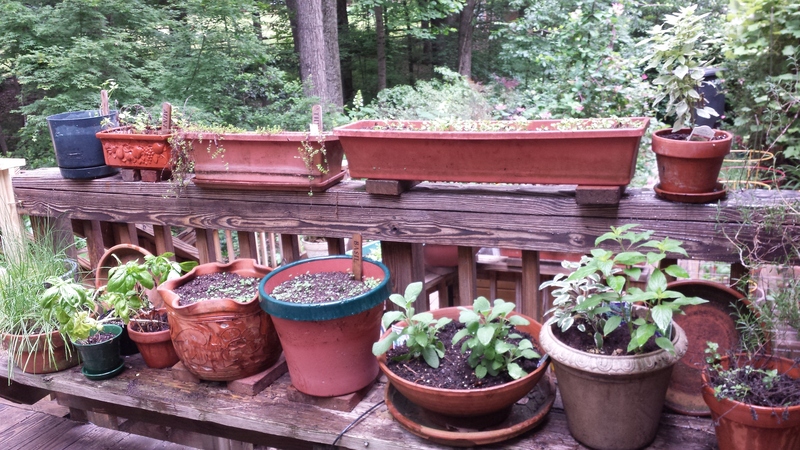 The Genovese basil next to it is about two feet tall now. Go figure. 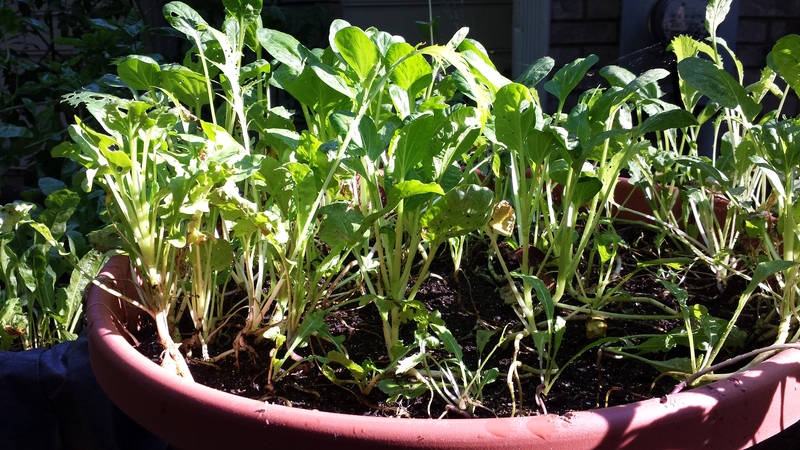 And most importantly…did the slugs stay out of the raised bed planter? YES!! 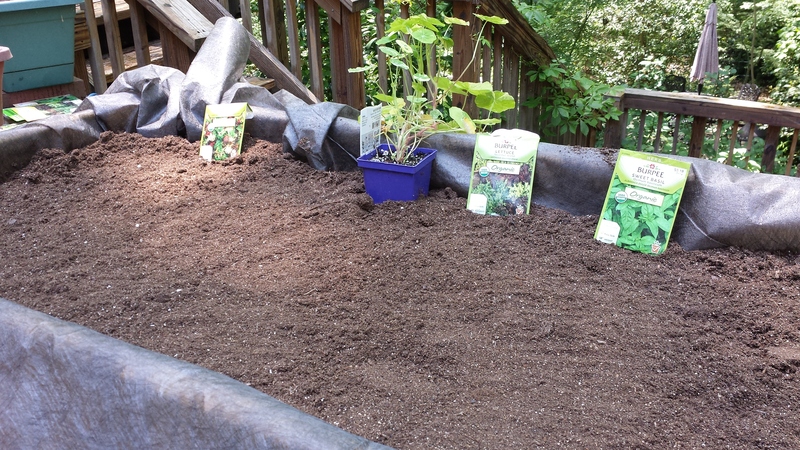 I didn’t find one slug on any of my plants in the raised bed planter even in our earlier rainy weather this Spring. I’m very pleased with the look of the planter and its performance this summer so far. 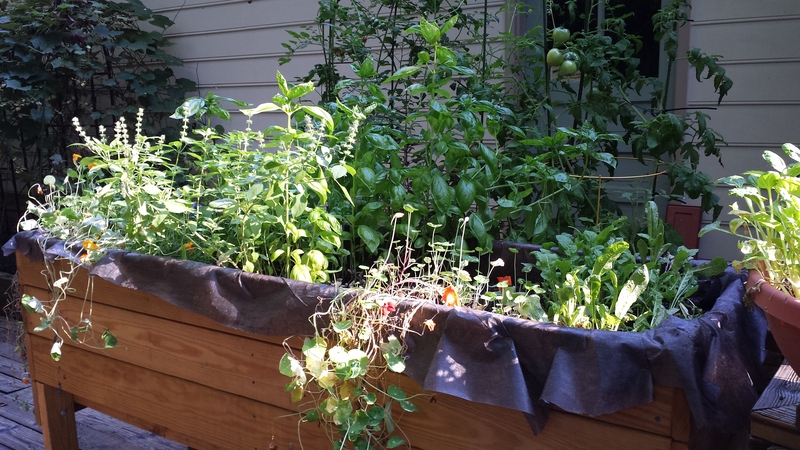 Have you tried raised bed gardening? Leave a comment and let us know!